The following photos were taken from 1914-1918 by my great-grandfather Lt. Walter Koessler during his time as a German officer in the first World War. They're part of a collection of over a thousand photos, stereographs and their negatives that my family has been saving for a century. This is an unusually large and complete collection, and I've taken on the task of preserving it and printing it so other people can experience this history too. 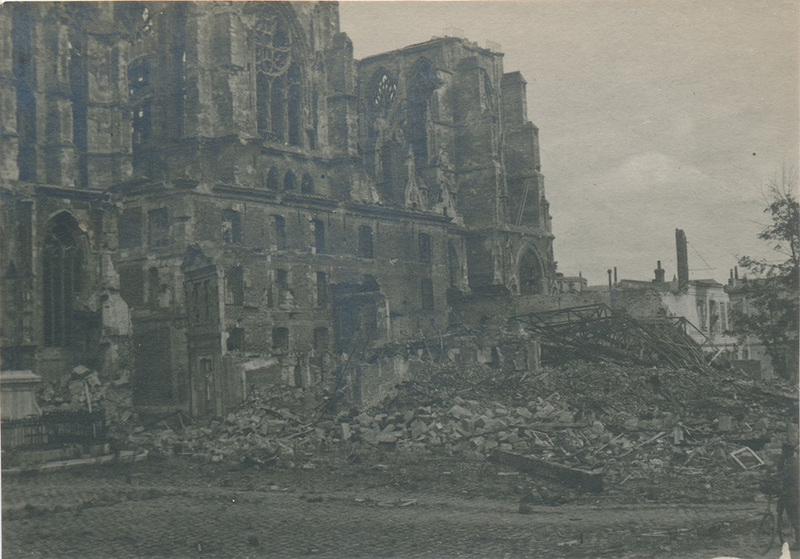 Walter's training as an architect drew him to photograph and sketch many buildings throughout the war. 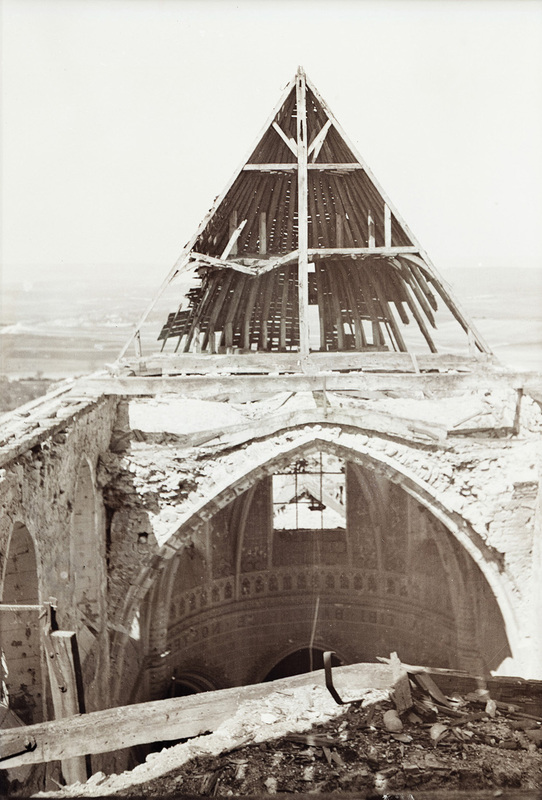 Churches were a particular favorite, and with their roofs blown off by battle these were probably rare opportunities to capture their insides on the insensitive film of the time. These photos have never been published before. As an officer with experience in photography, Walter was a prime choice for reconnaissance and documentation missions. 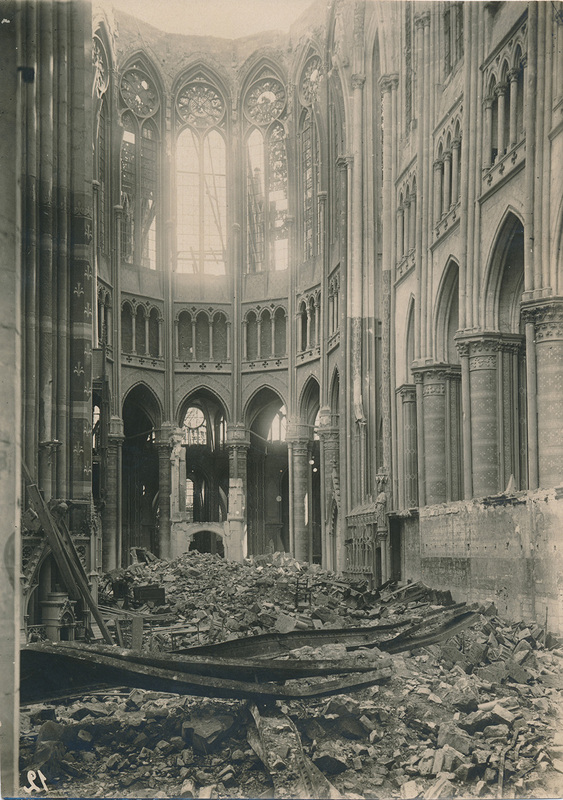 These photos are of St. Quentin Cathedral in northern France, which burned down in August 1917. 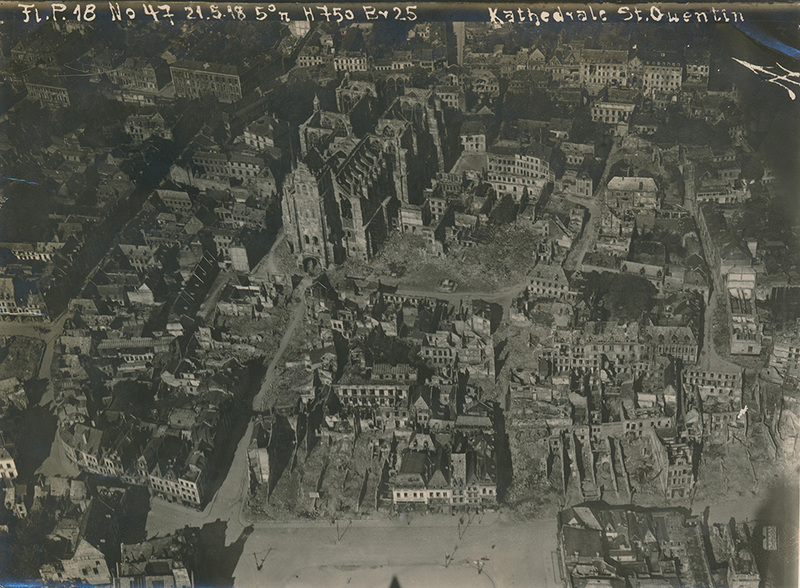 Walter took aerial photos in the war as well. Family stories tell of him taking photos with a camera looking through the bottom of a biplane and swapping photographic plates out as they flew. This New York Times article indicates that there was some dispute around the cause of the fire, and that Berlin's offices investigated and issued a statement. Due to the unusual size of these images compared to the rest of the album and the inclusion of aerial photos, I think Walter's photos were used in that investigation. 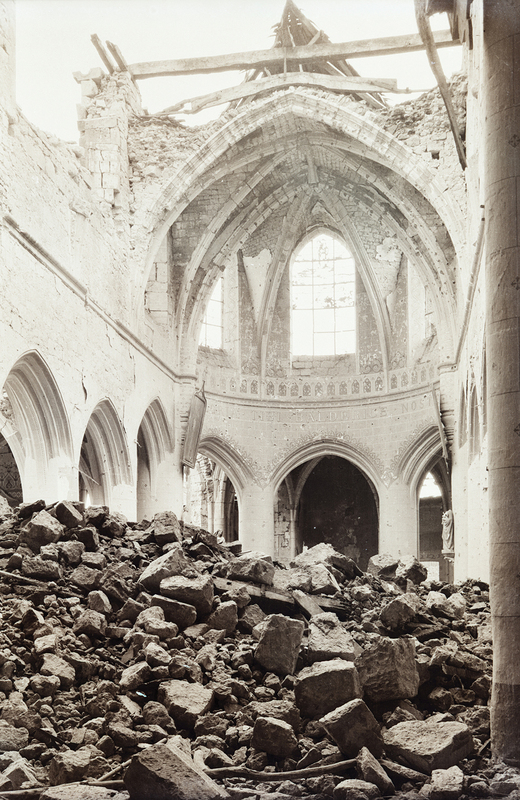 This series from a church in France is one of my favorites in the collection. Again, due to the size of these photos and the number Walter took, it's possible that these were meant for official business. 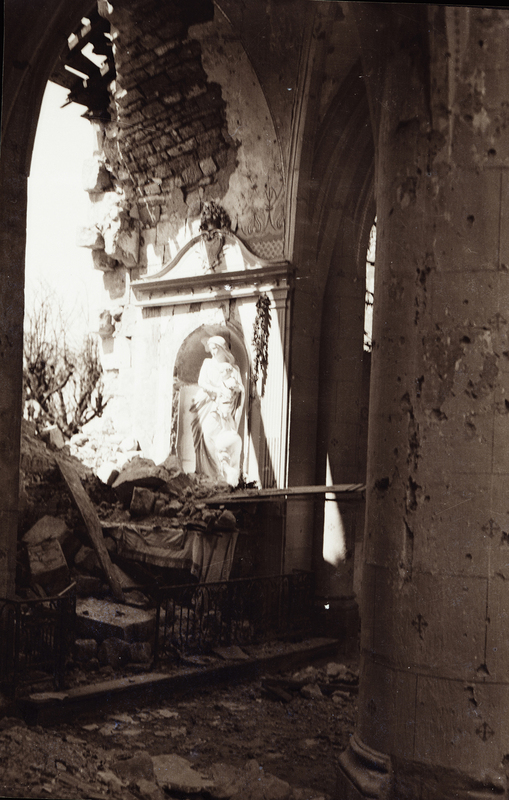 Below, a detail from the above photo showing two statues among the rubble. You can see more of this collection as I scan it on Tumblr. If you're interested in seeing the full collection and helping me preserve it, please support me in making a print copy of the book on Kickstarter. Walter took advantage of some unique opportunities to capture WWI on film. 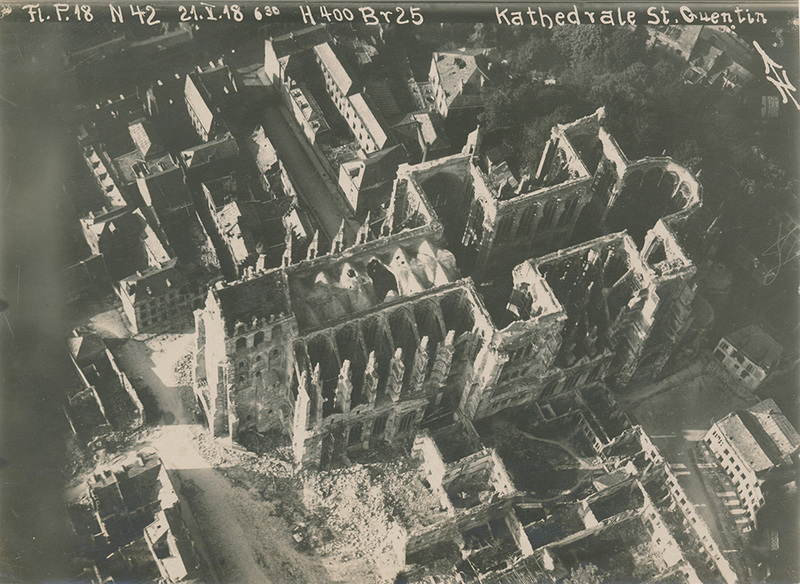 His photos tell the stories of living in the trenches, visiting home with friends, his work as an aerial reconnaissance photographer and his increasing understanding of the horrors of war.